TRID And Residential Mortgages: How It Will Significantly Change The Loan Process! On October 3, 2015, sweeping changes in the way that a residential mortgage loan is processed and closed will go into effect! TRID, or TILA-RESPA Integrated Disclosure, was originally due to be implemented August 1, 2015 but that was ultimately extended to October 3. For potential borrowers and mortgage industry professionals the following article written by Neil Garfinkel of the real estate law firm Abrams Garfinkel Margolis Bergson lays out the details of TRID in a clear and concise way! ‘TRID is a new consumer disclosure law that goes into effect on October 3, 2015. TRID will significantly change the way a mortgage lender discloses terms and fees of most residential mortgage loans to an applicant as it requires the replacement of the Good Faith Estimate, Final Truth-in-Lending Disclosure, and HUD-1 Settlement Statement with new disclosures known as the Loan Estimate and Closing Disclosure. 1. TRID stands for TILA-RESPA Integrated Disclosure. 2. TRID is a federal law which requires mortgage lenders to provide consumers with certain disclosures during the loan application and closing process. These disclosures summarize the terms of the loan, such as the interest rate, and the costs associated with obtaining the loan. 3. There are two new consumer disclosure forms required by TRID, the (i) Loan Estimate and (ii) Closing Disclosure. 4. The Loan Estimate, or “LE,” replaces the current disclosure forms known as the Good Faith Estimate and initial Truth-in-Lending disclosure (“TIL”). The purpose of the LE is to give consumers a better, more clear understanding of the terms of their loan and the costs associated with such loan. With more complete knowledge the consumer can then, in theory, shop for and make an informed decision about the mortgage product that best fits their needs. 5. The CFPB refers to the Loan Estimate as a “Know before you Owe” disclosure. 6. The Closing Disclosure, or “CD,” replaces the current disclosure forms known as the HUD-1 Settlement Statement and the final TIL. The purpose of the CD is to finalize information that appears on the LE, including the mortgage terms and the projected payment amount, as well as to summarize the closing costs incurred by the purchaser and seller. 7. TRID imposes certain dates by which the LE and CD must be delivered to a borrower. The Loan Estimate must be provided to the consumer by the third business day after receipt of a completed loan application and at least seven business days prior to the closing of the loan. The Closing Disclosure must be delivered to and received by the borrower at least three business days prior to “consummation” of the transaction (usually the closing of the transaction). The three business day period can be referred to as the “Waiting Period” and a closing cannot occur until the conclusion of the Waiting Period. 8. There are three events that require a re-disclosure of the CD and a new Waiting Period prior to closing. They are: (1) an increase in the annual percentage rate (APR) by more than 1/8 of a percentage point for a fixed rate loan or 1/4 of a percentage point for an irregular transaction, such as a variable rate transaction, (2) the addition of a prepayment penalty; and/or (3) changes in the loan product, such as from a fixed rate to an adjustable rate loan. Although, the Waiting Period will not be required to commence again for changes other than these three events, the lender is still responsible for giving the borrower a new CD if there are any changes to the CD after it is presented to the borrower. 9. The regulatory body responsible for implementing and overseeing TRID, the Consumer Finance Protection Bureau, recently announced that it will be issuing a proposed amendment to delay TRID’s effective date from August 1, 2015 to October 1, 2015. 10. Real estate agents are an integral part of the closing process and will play an important role in facilitating the implementation of TRID and its various delivery requirements. More specifically, real estate professionals should be prepared to do the following things: (i) educate consumers and professionals with respect to TRID and its various elements, (ii) set reasonable expectations for all relevant parties regarding potential closing delays, (iii) assist the various professionals associated with the closing process in creating a collaborative work environment so that all closing costs can be provided to the lender in order to prepare the CD and (iv) understand the situations which require a new Waiting Period and the situations, such as adjustments necessitated by a pre-closing walk through, that do not require a new Waiting Period. The webpage includes information on TRID and how to prepare clients under the new requirements, as well as links to resources for clients, such as the CFPB’s Home Loan Toolkit, which is a step-by-step guide designed to assist consumers when buying a home. 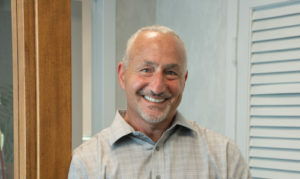 Article from Michael Haltman, President of Hallmark Abstract Service in New York. This post is very informative. Thanks for the thorough explanation. Hope to hear more from you.